This year is already in full swing and everybody is longing for warmer climates. Beat the blues by planning your next luxury vacation and be inspired by our edit of the best destinations to visit in 2017. 1. Chile As one of the longest countries in the world, Chile offers an extraordinary array of natural wonders to take in during your trip. Best for: Those in search of something otherworldly What to do and see: The natural sights in southern Chile are the main draw for this incredible part of the world. 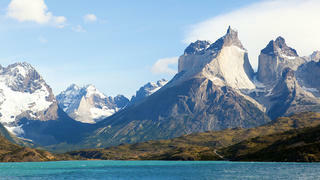 Known for its rugged national parks, the Parque Nacional Torres del Paine should be at the top of your bucket list. The main features are the towering granite Torres del Paine but the sapphire lakes, mountains, glaciers, forests and rivers will ensure you come away with a lifelong collection of memories. 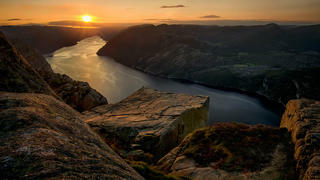 Spend your days cycling, horseriding, trekking and kayaking, discovering stunning waterfalls, caves, fjords and wildlife. Those cruising in this spectacular region can hope to spot dolphins, penguins and killer whales. The Chilean fjords are best experienced by boat and currently, the 50 metre explorer yacht Plan B is available to charter there. On the south-eastern edge of the park sits Puerto Natales, a city steeped in colour, culture and history. It's the perfect place to explore and enjoy some local cuisine with a glass of Chilean wine. When to go: The high season runs from November through to March in the south of Chile as these are the warmest months of the year, with average temperatures of approximately 14°C. This year is already in full swing and everybody is longing for warmer climates. Beat the blues by planning your next luxury vacation and be inspired by our edit of the best destinations to visit in 2017. As one of the longest countries in the world, Chile offers an extraordinary array of natural wonders to take in during your trip. What to do and see: The natural sights in southern Chile are the main draw for this incredible part of the world. Known for its rugged national parks, the Parque Nacional Torres del Paine should be at the top of your bucket list. The main features are the towering granite Torres del Paine but the sapphire lakes, mountains, glaciers, forests and rivers will ensure you come away with a lifelong collection of memories. Spend your days cycling, horseriding, trekking and kayaking, discovering stunning waterfalls, caves, fjords and wildlife. Those cruising in this spectacular region can hope to spot dolphins, penguins and killer whales. The Chilean fjords are best experienced by boat and currently, the 50 metre explorer yacht Plan B is available to charter there. On the south-eastern edge of the park sits Puerto Natales, a city steeped in colour, culture and history. It's the perfect place to explore and enjoy some local cuisine with a glass of Chilean wine. When to go: The high season runs from November through to March in the south of Chile as these are the warmest months of the year, with average temperatures of approximately 14°C. While Oman may not seem like the most obvious destination several superyachts, including explorer yacht Itasca and Motor Yacht A, have recently been spotted along its striking coastline. With high-end luxury hotels, a wonderful climate during winter months and recent improvements to superyacht infrastructure there has never been a better time to discover this Middle-eastern gem. Best for: Adventurous explorers with a taste for luxury What to do and see: With wild desert adventures, mountain hiking and traditional Arabian souks there is something to entertain everyone in Oman. The opulent Barr Al Jissah complex, close to Muscat, is the perfect base for exploring the country. Tucked into the Omani coastline the site is home to three Shangri-La hotels and has no fewer than 22 dining options. To get a taste of the wild side of Oman, hire a chopper to take you into the desert for either a 4x4, quad bike or sand boarding adventure. Alternatively, head to Oman’s Grand Canyon for a breathtaking trek taking in the vast rugged beauty. If you prefer to remain water based Oman’s coastline won’t disappoint with wonderful diving and snorkelling, expect sea turtles and schools of colourful fish, and great fishing. After your expeditions relax in the Chi Spa back at Barr Al Jissah, one of the best luxury spas in adventurous destinations, or head into Muscat and enjoy a spot of retail therapy at one of the souks which sell traditional textiles as well as gold and silver jewellery. When to visit: The winter months, between October and March, offer an almost Mediterranean climate with temperatures rarely reaching much above 30°C. The summer months, April to September, are best avoided with temperatures frequently over 40°C. While Oman may not seem like the most obvious destination several superyachts, including explorer yacht Itasca and Motor Yacht A, have recently been spotted along its striking coastline. With high-end luxury hotels, a wonderful climate during winter months and recent improvements to superyacht infrastructure there has never been a better time to discover this Middle-eastern gem. What to do and see: With wild desert adventures, mountain hiking and traditional Arabian souks there is something to entertain everyone in Oman. The opulent Barr Al Jissah complex, close to Muscat, is the perfect base for exploring the country. 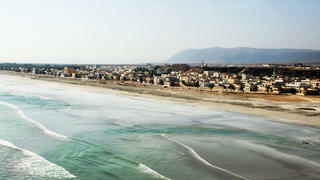 Tucked into the Omani coastline the site is home to three Shangri-La hotels and has no fewer than 22 dining options. To get a taste of the wild side of Oman, hire a chopper to take you into the desert for either a 4x4, quad bike or sand boarding adventure. Alternatively, head to Oman’s Grand Canyon for a breathtaking trek taking in the vast rugged beauty. If you prefer to remain water based Oman’s coastline won’t disappoint with wonderful diving and snorkelling, expect sea turtles and schools of colourful fish, and great fishing. After your expeditions relax in the Chi Spa back at Barr Al Jissah, one of the best luxury spas in adventurous destinations, or head into Muscat and enjoy a spot of retail therapy at one of the souks which sell traditional textiles as well as gold and silver jewellery. When to visit: The winter months, between October and March, offer an almost Mediterranean climate with temperatures rarely reaching much above 30°C. The summer months, April to September, are best avoided with temperatures frequently over 40°C. Famous for its maritime and seafaring history, New England offers a huge variety of activities, events and must-see spots for those travelling by superyacht. Small but vibrant towns with museums, shops and eateries contrast with quiet anchorages and rugged coastlines making New England a must for those with a passion for all things nautical. 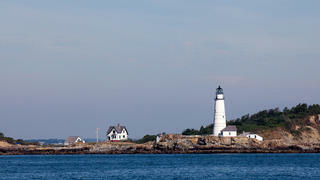 *Best for: *Those who need to unwind What to do and see: No matter where you’re cruising in New England, you’re never too far away from a nautical museum, so make sure to select a few favourites before your trip. Explore Martha’s Vineyard on foot or by bicycle to take in its sandy beaches and lighthouses before heading to the Nantucket Life Saving Museum. There are a number of foodie festivals and breweries to enjoy throughout the year, or more active holidaymakers should head to the White Mountains to see the waterfalls. A day in Boston also never fails to entertain — opt for a Red Sox baseball game or a stroll along the waterfront to Quincy Market and the New England Aquarium. If you can squeeze a trip to Maine into your itinerary, cruise over to Butter Island enjoy the famous lobster offering alongside stunning views and the odd seal sunning itself on the rocks. While on your luxury yacht, keep a lookout for whales further out to sea. When to go: It’s possible to discover New England by superyacht all year around, as the colours in autumn and the snow in winter is well worth seeing. However, yachties should look at a vacation between May and September for the warmest conditions. Famous for its maritime and seafaring history, New England offers a huge variety of activities, events and must-see spots for those travelling by superyacht. Small but vibrant towns with museums, shops and eateries contrast with quiet anchorages and rugged coastlines making New England a must for those with a passion for all things nautical. What to do and see: No matter where you’re cruising in New England, you’re never too far away from a nautical museum, so make sure to select a few favourites before your trip. Explore Martha’s Vineyard on foot or by bicycle to take in its sandy beaches and lighthouses before heading to the Nantucket Life Saving Museum. There are a number of foodie festivals and breweries to enjoy throughout the year, or more active holidaymakers should head to the White Mountains to see the waterfalls. A day in Boston also never fails to entertain — opt for a Red Sox baseball game or a stroll along the waterfront to Quincy Market and the New England Aquarium. If you can squeeze a trip to Maine into your itinerary, cruise over to Butter Island enjoy the famous lobster offering alongside stunning views and the odd seal sunning itself on the rocks. While on your luxury yacht, keep a lookout for whales further out to sea. When to go: It’s possible to discover New England by superyacht all year around, as the colours in autumn and the snow in winter is well worth seeing. However, yachties should look at a vacation between May and September for the warmest conditions. The travel restrictions for Americans in Cuba have not been completely lifted, but they are being eased — in fact luxury yachts Highlander and Axioma are now available to charter in Cuba for the first time. A vacation to Havana is like stepping back in time, but visiting by superyacht means you can enjoy all the luxuries of life on board that can’t be found on land. 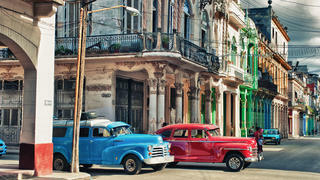 *Best for: *History buffs What to do and see: An afternoon exploring Earnest Hemingway’s former home should be high on the priority list, second only to a tour of the Havana Club rum factory and museum. Old Havana is home to a number of historical hotspots, including the UNESCO World Heritage Sites Plaza de Armas, Plaza Vieja, Plaza San Francisco de Asis and Plaza de la Catedral. A trip to see the canon ceremony at La Cabaña fortress is also well worth the effort. When to go: Visit Cuba from December to May for blue skies and plenty of sunshine — the wet season starts in June and there is a risk of hurricanes from August to October. The travel restrictions for Americans in Cuba have not been completely lifted, but they are being eased — in fact luxury yachts Highlander and Axioma are now available to charter in Cuba for the first time. A vacation to Havana is like stepping back in time, but visiting by superyacht means you can enjoy all the luxuries of life on board that can’t be found on land. What to do and see: An afternoon exploring Earnest Hemingway’s former home should be high on the priority list, second only to a tour of the Havana Club rum factory and museum. Old Havana is home to a number of historical hotspots, including the UNESCO World Heritage Sites Plaza de Armas, Plaza Vieja, Plaza San Francisco de Asis and Plaza de la Catedral. A trip to see the canon ceremony at La Cabaña fortress is also well worth the effort. When to go: Visit Cuba from December to May for blue skies and plenty of sunshine — the wet season starts in June and there is a risk of hurricanes from August to October. After a large increase in the number of superyachts flocking to Queensland in the last year, Australia is looking to be a popular vacation choice for 2017. Famed for incredible sunsets and an incredible marine ecosystem, the Whitsunday Islands are perfect for those who would rather spend their holiday under the sea rather than on it. Best for: Snorkelling fanatics What to do and see: Organise a cruising itinerary around the Whitsunday Islands for some of the world’s best diving opportunities. As one of the seven natural wonders of the world, the Great Barrier Reef is a must-see for keen divers and ecologists and, despite the mass bleaching that occurred there in early 2016, there are a number of reasons people should not be put off visiting the Great Barrier Reef. Dive and snorkel in Butterfly Bay, Blue Pearl and the Hook Island Bays and marvel at Whitehaven Beach, one of the Whitsunday Islands’ gems. 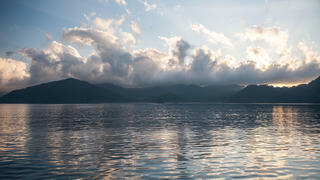 Don’t miss the Nara Inlet’s collection of ancient aboriginal cave paintings or the waterfall of Cid Harbour. When to go: Visit in September to enjoy comfortable water temperatures, sunny weather and to steer clear of ‘stinger season’ — jellyfish tend to be more prevalent in these waters from October to May. After a large increase in the number of superyachts flocking to Queensland in the last year, Australia is looking to be a popular vacation choice for 2017. Famed for incredible sunsets and an incredible marine ecosystem, the Whitsunday Islands are perfect for those who would rather spend their holiday under the sea rather than on it. What to do and see: Organise a cruising itinerary around the Whitsunday Islands for some of the world’s best diving opportunities. As one of the seven natural wonders of the world, the Great Barrier Reef is a must-see for keen divers and ecologists and, despite the mass bleaching that occurred there in early 2016, there are a number of reasons people should not be put off visiting the Great Barrier Reef. Dive and snorkel in Butterfly Bay, Blue Pearl and the Hook Island Bays and marvel at Whitehaven Beach, one of the Whitsunday Islands’ gems. 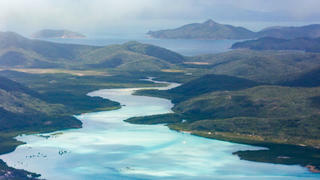 Don’t miss the Nara Inlet’s collection of ancient aboriginal cave paintings or the waterfall of Cid Harbour. When to go: Visit in September to enjoy comfortable water temperatures, sunny weather and to steer clear of ‘stinger season’ — jellyfish tend to be more prevalent in these waters from October to May. At the southern end of Myanmar lies the Mergui Archpelago, which offers a number of stunning islands to explore that remain mostly untouched and uninhabited. The dense and unruly rainforest contrasts with the soft white beaches makes the archipelago the perfect blend of adventure and luxury for vacationers. Best for: Jungle adventurers What to do and see: Sun worshippers will fall in love with the peaceful beaches on the Similan Islands, while more active members of the group will want to save a day to hike up the mountain on Great Swinton Island to capture some incredible panoramic views. Explore the waters around Clara Island for turtles and other marine life and make time to canoe through the mangrove trees on Lampi Island, now a designated national park. There is some great diving in the Mergui Archipelago, specifically at the Three Islets just south west of Lampi. When to go: The dry season is between October and May, so the best time of year to visit Myanmar is from November to February. At the southern end of Myanmar lies the Mergui Archpelago, which offers a number of stunning islands to explore that remain mostly untouched and uninhabited. The dense and unruly rainforest contrasts with the soft white beaches makes the archipelago the perfect blend of adventure and luxury for vacationers. What to do and see: Sun worshippers will fall in love with the peaceful beaches on the Similan Islands, while more active members of the group will want to save a day to hike up the mountain on Great Swinton Island to capture some incredible panoramic views. Explore the waters around Clara Island for turtles and other marine life and make time to canoe through the mangrove trees on Lampi Island, now a designated national park. There is some great diving in the Mergui Archipelago, specifically at the Three Islets just south west of Lampi. When to go: The dry season is between October and May, so the best time of year to visit Myanmar is from November to February. The western Norwegian Fjords are listed as a UNESCO World Heritage Site and their intricate network of rugged cliffs and valleys are a must for anyone with a fondness for natural beauty. Best for: Active vacationers with a passion for nature What to do and see: Take your superyacht around the western Norweigian Fjords, making sure to stop off at Pulpit Rock for a walk or to sample one of Norway’s longest zip lines. Stroll along The Post Road at Rullestadjuvet Gorge or go cycling to Lake Bondhusvatnet and the Bondhusvatnet Glacier in Sundal — there’s plenty of options for an itinerary in the fjords. Save some time for the Viringfossen waterfall and for a myriad of activities in Voss, including white water rafting or indoor skydiving. To add a city break element to your trip, head to Bergen for vibrant nightlife and plenty of great restaurants and bars to explore away from your superyacht. When to go: Norway does not have an Arctic climate, but it is best to spend July and August discovering the Norwegian Fjords on board a superyacht to enjoy longer days and warmer temperatures. The western Norwegian Fjords are listed as a UNESCO World Heritage Site and their intricate network of rugged cliffs and valleys are a must for anyone with a fondness for natural beauty. What to do and see: Take your superyacht around the western Norweigian Fjords, making sure to stop off at Pulpit Rock for a walk or to sample one of Norway’s longest zip lines. Stroll along The Post Road at Rullestadjuvet Gorge or go cycling to Lake Bondhusvatnet and the Bondhusvatnet Glacier in Sundal — there’s plenty of options for an itinerary in the fjords. Save some time for the Viringfossen waterfall and for a myriad of activities in Voss, including white water rafting or indoor skydiving. To add a city break element to your trip, head to Bergen for vibrant nightlife and plenty of great restaurants and bars to explore away from your superyacht. When to go: Norway does not have an Arctic climate, but it is best to spend July and August discovering the Norwegian Fjords on board a superyacht to enjoy longer days and warmer temperatures.